American Thanksgiving, Black Friday as well as Cyber Monday is just around the corner! 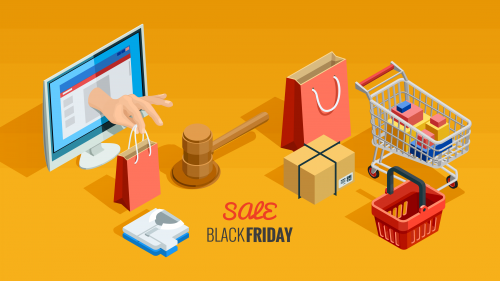 As Thanksgiving and Black Friday is known to be the most talked about holiday shopping fest, Cyber Monday has grown in popularity and is becoming a bigger holiday shopping event as well. That being said, are you ready for this year’s crazy shopping events such as where to shop for the best deals and how to fight for it before it runs out of stock? Thanksgiving happens annually on a Thursday on the 4th week of November, in this case this year’s Thanksgiving will be on 23rd November. If not all, most of the American online stores including accessories, shoes, kids apparel, toys, beauty skincare, sports, and electronics, etc. will start with special promotional deals as a pre-sale for the coming Black Friday sale. Black Friday deals are similar to Thanksgiving sale but of course discounts will drop as low as 70% off or even more! Selected sites may even have a ‘One Day Deal’ or ’24 Hours Flash Sale’ so be prepared. Sale products are mostly electronics ie. Computer and laptops, mobile phones, sound speakers, and gaming systems. Note the time difference between US and HK: Sales normally begin at 00:00 US time zone, which is equivalent to 16:00 HK time zone. Stock runs out fast especially on Black Friday, so we suggest that you add your favorite items into your wish list or bookmark it so when the actual day comes all you need to do is to add them to your cart and proceed with checkout! Browse Featured Online Shopping Sites or BuyandShip FB page for new updates and latest promotions. Keep in mind there may be several American sites that don’t accept overseas credit cards including Samsonite, Toms as examples, so make sure you have several credits cards ready. PAYPAL is another vessel for easier checkout during this hectic sale event. If you spot a great deal on the official site, also checkout other seller sites to make sure you can’t do better elsewhere. For example, if you’re looking at shoes, you can compare prices at Eatbay, Footlocker, FootAction, Shoebuy, Amazon, Walmart, even eBay, sometimes prices may vary. 5. Sign up for TopCashBack to get free cash back! Join for FREE and become a member to get free cash back, coupon codes and the best online shopping deals on TopCashback USA, they help their members save millions of dollars by passing back higher cashback rebates at over 4380 merchant stores. Rebates can be transferred to your PAYPAL account or exchanged as Amazon Gift Card. Find out more about Topcashback: Join Topcashback today! Majority of the US sites including Amazon, Walmart, Kate Spade, Ralph Lauren, Carter’s, Dyson, etc. do not provide international shipping, local deliveries only. What to do you ask? This is where we step in. Sign up as BuyandShip member to obtain an overseas shipping address and get your delivery sorted!